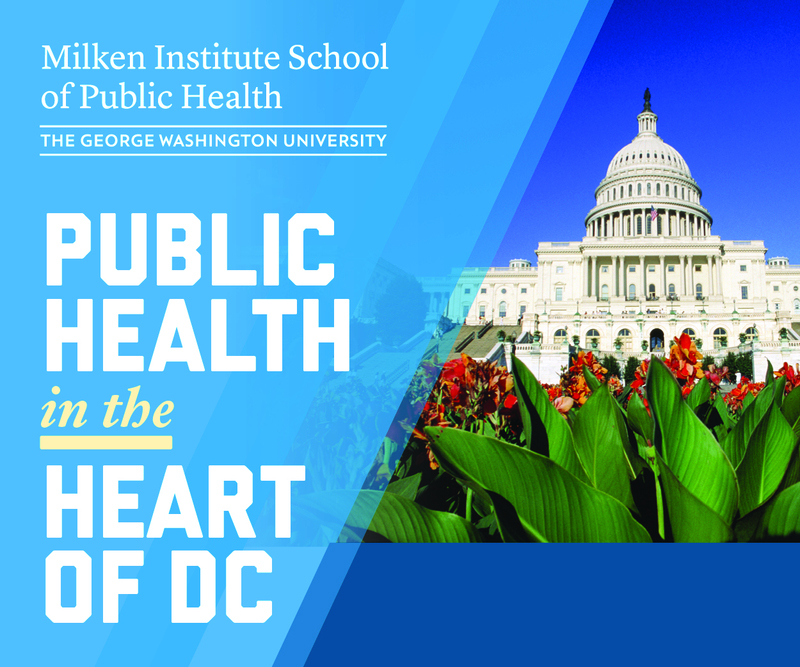 The Milken Institute School of Public Health at the George Washington University believes that students are the lifeblood of public health. As the only school of public health in the nation’s capital, students have unprecedented access to the top national and global health organizations; cutting-edge translational research conducted by faculty; and a front-row seat to the public health leaders, thinkers and innovators who frequently convene in the school’s state-of-the-art LEED Platinum building. Located in DC’s Foggy Bottom neighborhood, Milken Institute SPH offers more than 30 programs at the undergraduate, graduate and doctoral levels to help students pursue their interests and accomplish their career goals. The school also offers an online Master of Public Health (MPH@GW) and an online Executive Master of Health Administration (MHA@GW), which allow students to pursue their degree from anywhere in the world.